First elected by the General Assembly on February 1, 1901, to complete the unexpired term of John William Riely and began his service on March 5, 1901. Elected on January 16, 1906, to a new term of six years beginning February 1, 1907. Elected on February 2, 1912, to a regular term of 12 years beginning February 1, 1913. Service terminated by resignation. Elected president on May 6, 1917, to fill the vacancy created by the resignation of George Moffett Harrison. Service terminated by resignation. First elected, Journal of the Virginia House of Delegates, 1901 Session, 57; nominated by the Democratic caucus, January 31, 1901, “Whittle for Justice: Nominated for Supreme Bench on Second Ballot,” The Washington Post (1877-1922) [Washington, D.C.], February 1, 1901: 9; qualified March 5, 1901, 99 Va., iii; elected to a 12-year term, Journal of the House of Delegates of Virginia 1912 Session, 284; elected president, 120 Va., iii and Judge Stafford G. Whittle Heads Supreme Court, Richmond Times-Dispatch, March 7, 1917, col. 2, retrieved on March 12, 2014; education, Catalogue of the Officers and Alumni of Washington and Lee University, 1749-1888, Washington and Lee University Archives and Special Collections; resignation, Journal of the Virginia House of Delegates, 1919 Session, 9; birth, education, and career, transcript of portrait presentation on January 16, 1931, published in 155 Va., xii-xvii; death, “Judge Stafford Whittle Passes Away at Age 82,” special to the Danville Bee (Danville, Va.), September 11, 1931: 1; portrait, Ray O. Hummel, Jr., and Katherine M. Smith, Portraits and Statuary of Virginians Owned by the Virginia State Library, the Medical College of Virginia, the Virginia Museum of Fine Arts, and Other State Agencies (Richmond, Va.: The Virginia State Library, 1977), 133. In 1929, the Virginia State Bar Association formed a committee to acquire portraits of former justices who were not already represented in the court’s collection and approved a measure to reduce the cost of the project by asking family members of the justice to donate a portrait. 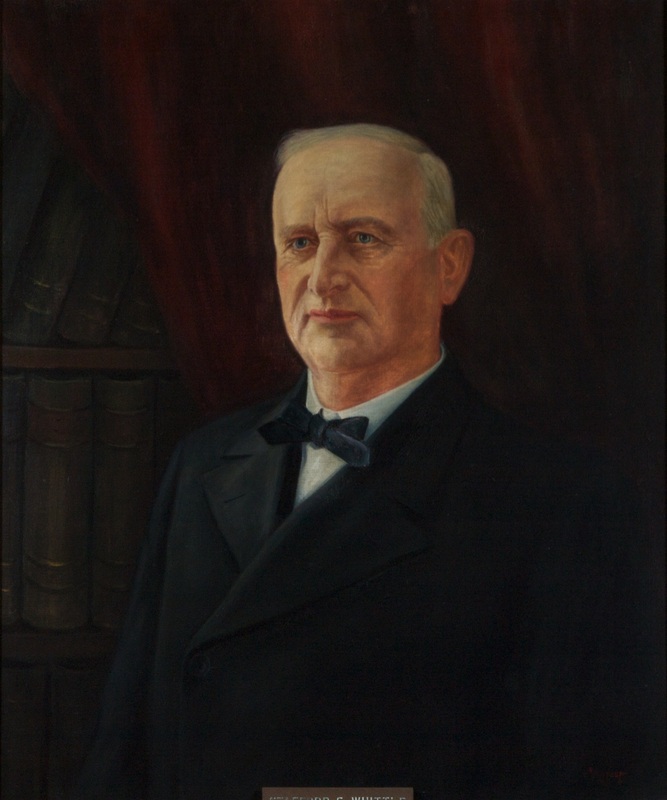 Whittle’s portrait was donated by family members in 1931 in response to this request; see Proceedings of the Fortieth Annual Meeting of the Virginia State Bar Association, August 1929, 206-210; and Proceedings…August 1931, 103. The Constitution of 1902 included a provision that the first judges elected under the new constitution be elected to terms of four, six, eight, ten, and twelve years, and thereafter to regular terms of twelve years. This measure was taken to prevent another complete turnover of the court, which had occurred in 1882 and 1894. Under the terms of this provision, Whittle was elected on January 16, 1906, to a new term of six years beginning February 1, 1907. Journal of the House of Delegates of Virginia, 1906 Session, 69 and 70; and Thomas R. Morris, The Virginia Supreme Court: An Institutional and Political Analysis (Charlottesville: The University Press of Virginia, 1975), 22-24.